Tonight was the Spring Fling -- a mother son, father daughter dance for the seniors in Spencer's class. We had a nice dinner then dance, which Spencer admitted was awkward, but he got out there and moved around on the floor with me a little. As we walked in the door at home, I was humming that song: Last Dance, last chance for love... and I got to the next part, which is a little more true for me and Spencer. "I need you by me, beside me to guide me..." or at least that's what I imagine to be true for Spencer. But he's fairly autonomous. He'll be okay as he goes far away to school in Florida. I'll miss him though. I had no spectacular pictures to share this week, so I decided to go with something strange I saw during a walk this month. Two years ago today, we were winding down to Grace's high school graduation. Today, we're winding down to Spencer's high school graduation. It all seems very similar, doesn't it? Except, two years ago today, Earl and I were in France to celebrate our 20th wedding anniversary. This year, we are in Ohio. Here we are at the top of the Eiffel Tower. It wasn't our actual anniversary until June, but we decided to avoid the crowds by visiting Paris in April. We also needed to go before we started making college payments in June. Here we are on a bridge over the Seine. I'm never sure which one. We even went to visit some friends in Nantes and then walked along the cliffs by the Atlantic. The scenery is gorgeous and quite a contrast to the Ohio scenery. How about you? Where were you two years ago? Are you in a better place now? Today I'm feeling mad. Mad as in angry. Not mad as in crazy. 1. Small town gossip. I know, I grew up in a small town, but not quite this small. So an after-prom party had alcohol and I got a call from one of the parents Sunday morning. Her oldest is a sophomore and she was apalled. I had to kind of talk her down. Then, somehow, I got the blame for telling people about alcohol at the party, which meant Tucker got blamed for telling me, which he didn't. All of those senior girls in their beautiful prom dresses (see the prom post from Saturday) blamed Tucker for ratting them out and Tucker had "the worst day ever." Parents who believe high school parties won't have alcohol are just naive. 2. Writing. I'm reading books that I keep putting down because they aren't very good, and then I can't believe that my books aren't published. What's the deal? I'm not saying my books are masterpieces, but I think I can give many of these books a run for their money. A writing instructor at one of the colleges where I work is reading my novel. She has lovely things to say like, "I'm fully engaged" and "I can picture this." Then yesterday she says that to get published my manuscripts need to "have some bite," which I interpreted as snarky and sarcastic, or they have to be so intelligent that people bow down in amazement at how smart the author must be. And I said, "Who wants to read books like that?" I'm writing escapist books with fun plots that deal with emotional issues most people face. Why? Because that's what I like to read. So why are these things making me mad? Well, a few weeks ago, I told Earl that I might be entering menopause so I'd be more irritable than usual. I was only using that as an excuse so that I could tell him to stop reading sections of the newspaper to me while I was trying to work. Now that I'm feeling so mad about everything, I wonder if those words aren't true. Maybe everything gets under my skin because I'm starting menopause. Or maybe that's just my excuse du jour. Show me that I'm not alone. Tell me what makes you mad? When he told me he no longer loved me, I fell to my knees. I know. Even I was conscious of caving to melodrama as I collapsed toward the pea-puke, paisley carpet. "Before today, the condition of being alone bred loneliness. But now, there is a reckless freedom fluttering through me, around me, tickling the curtains, coaxing the hair on my flesh to stretch and stiffen like new grass." I am buying the lamest thing I've ever purchased from a grocery store, yet I put it in my cart every week now. I blame it on school lunches and my persnickety youngest son. Spencer, my older son, will eat nearly any fruit or vegetable I put in front of him or pack in his lunch. Tucker, my younger son, will not. The apple might have a bruise. The banana might have a bruise. The clementine is too citrusy; the canteloupe cubes are too soft. I can't win. For awhile, I bought little fruit cups with mixed fruit in juice. As I was going to the store one day, I asked him if he was eating them. "Well..." he hedged. "I just think there's a better way to get fruit in me." I asked for suggestions but he turned down each suggestion. Applesauce? Boxes of raisins? "How about apple slices?" I asked. I knew he didn't like the whole apple because of his braces. "Nah, they turn brown by lunch time," he said. I had tried adding lemon juice to them, but he didn't like the taste then. At the store, I walked through the produce section, trying to land on a fruit he might eat. That's when I saw them. Six packages in a box and they come with little cups of caramel sauce to dip them in. I know what you're thinking, but don't judge. I've made lots of mothering decisions I never thought I'd make. The sound of that plastic wrap ripping open must be more satisfying than the crunch of a bite into a crisp apple. To each his own. So after much boy drama, my boys are gone to prom and the house is quiet. Here's Spencer, 18, and his date. Here's Tucker, 16, and his date. But I know everyone really wants to see what the girls are wearing to prom, so I'll include a few pictures of the group so you can see for yourself. I'm pretty sure girls were not this beautiful when I was in high school. And Grace went to formal last night, so here's a shot of lovely Grace in purple with a cute, dimpled date, Tom, standing in the scenic hallway. Well, I wasn't there to direct the pose. Our bedroom windows have shutters on the bottom and the tops are bare so we can enjoy the architectural details. About once a year in the spring, the moon finds a perfect spot to hover and wash me in moonbeams as I sleep. Many mornings, whether the moon wakes me or not, I get up and go for a walk or a run. One morning this week, three small rabbits were cavorting on the sidewalk. I only got a picture of two of them. I hope they found their way back home together. On a totally different topic, my boys are going to the prom tonight, so I hope to add prom photos this evening. Bunnies and boys in tuxes. Nice combination. During spring break, I received a letter from the school that said both boys have two tardies for the quarter. If they get three tardies, they'll have detention. It was pretty early in the quarter to already have chalked up two tardies. Mostly, I blame Spencer, who drives the boys to school. School starts at 8; he rolls out of bed about 7:40, sticks his head under the shower, throws on clothes and grabs breakfast as he walks out the door at 7:54. Luckily, he has a parking spot this year so he doesn't have to search for a spot. But apparently this schedule was not working for the boys this quarter. I told Spencer he needed to start getting up at 7:15 -- that's about when Tucker gets out of the shower. Tucker likes to take his time in the morning. "Okay, but if I'm getting up that early, there better be something good for breakfast," Spencer warned. Here are the boys at the Columbus Clippers games on Easter. Usually, I teach early classes, sometimes leaving before the boys get up. This quarter, for some reason, I'm teaching all afternoons. So for the end of Spencer's senior year, I can make sure there's something for breakfast. I'm not creating anything too elaborate. It might just be a toasted bagel with cream cheese, or I slice a grapefruit in half and then cut around each individual segment so they'll slide out of the rind. Spencer sprinkles it with sugar and devours it. I might cut up a canteloupe, put some in Spencer's lunch and put a bowl full on the table. I have made French toast and this morning I baked sweet rolls. One of my friends said it was ridiculous that Spencer expected a reward for doing what he was supposed to do -- getting out of bed and going to school. I'm not sure that breakfast is a reward, and it is kind of nice that I get a chance to spend my mornings sitting at the table with the boys before they leave for school. Tucker, who usually skips breakfast, has even started to eat if I put something on the table. I don't think I'm raising my boys to expect a woman to wait on them. I think they're just typical teenagers who are hungry constantly, and sometimes they'll skip a meal or grab something easy but not healthy, rather than fix something for themselves. In less than a month, Spencer will be finished with high school classes, so this seems like a good way to end the school year. So I'd like to turn the mood around from parenting struggles to something that makes me happy. I got a new coffee cup. 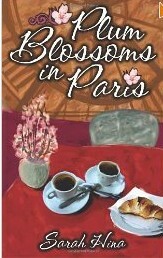 I love the big bowls of coffee that the French use in the morning. When we were in Paris with the kids in 2006, Earl and Spencer bought me a Paris cup from the top of the Eiffel Tower. Washing dishes recently, I dropped a bowl on top of the coffee cup and chipped it. I thought I could continue drinking my morning coffee and milk in the cup though. I would just drink from the other side. I'm left handed, so it would make sense that I'd drink my coffee left handed. But what I found out when I started paying attention, is that I drink my coffee right handed. This weekend, I ventured into Sur La Table. I'd like to have one of everything in that store, but I settled for a new oversized coffee cup. Of course, I couldn't come home empty handed for my husband so I bought him a present. See if you can guess what it is. I lay awake in bed at 4:30 this morning, thinking about the text messages I read on my older son's phone. Sometimes, it's better not to know. I was going to run, but wasn't motivated, so I walked up to the bank and then by my friend Sheila's house. I pried her out of her house to walk with me to get coffee at Starbucks. We talked about our teenagers and frustrations. I feel like we're making so many sacrifices and they just keep wanting more. I'm working more and more, looking for a third job to pay for college, as I handed over $60 for prom tickets this morning. I don't have to be at work til noon today, so I vacuumed and gathered clothes to donate to Goodwill. In the pockets of a furry brown fleece, I found five tickets for the water bus in Venice. Why can't we go back to simpler times like that? Here's a photo of me wearing the coat in Venice. I definitely think it's time to give it away. 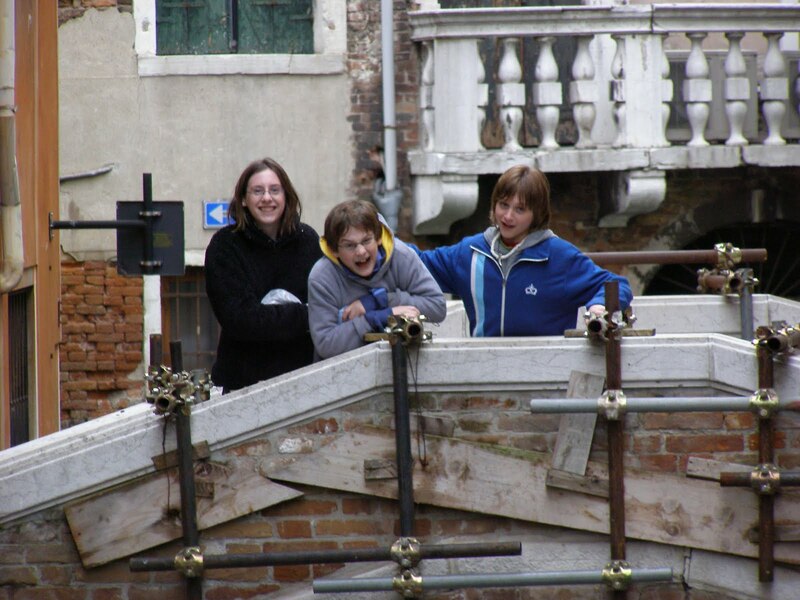 Here are the kids with Spencer pretending to throw Tucker off one of the bridges of Venice. I'm feeling pretty defeated in my parenting role right now. I wonder what all the sacrifices were for. But now I need to get ready for work so I can earn enough money to pay for tuxes and corsages this weekend, and college courses in the fall. I love picking up a new book, like a fresh shiny apple. 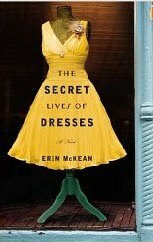 I finished Anne Tyler's The Begginners Goodbye yesterday (truly enjoyed it), so today I turn to the shelves and plucked down The Secret Lives of Dresses by Erin McKean. According to the blurb on the back of the book, Dora has taken the path of least resistance, going to the college that offered a scholarship, working at a coffee shop with a crush on her boss, when her grandmother suffers a stroke, compelling Dora to return home to run her grandmother's vintage shop. Dora had a rhythm going, or if not a rhythm, a pattern, and it went something like downshift, wipe tears away with back of hand, sob, upshift, scrub running nose with horrible crumpled fast-food napkin, stab at the buttons on the radio, and then downshift again. That had been the order of things for the past two hours. The first two hours had been pure howling, crying so hard she almost couldn't see, but then it had slowed down, a torrent turning into a spitting rain. Still bad weather, but not impassable. "Got it." Dora sighed. "The worst part about dressing like this is that Mimi's wanted me to wear these dresses for years, and I feel terrible that she isn't even seeing me in them." "For what it's worth, Mimi talked about you all the time, and never mentioned your clothes." "That's because she hated my clothes, I think. I mean the ones I actually wore, not the ones she put aside for me." I'm not too sure about this one, but I'll let you know. 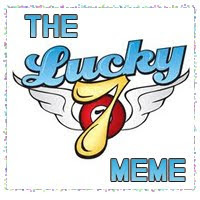 Thanks so much to Suzie Tullett for the Lucky Se7en Meme blog award. As part of the award, I have to go to page 77 of my current work in progress, scroll down to line 7 and copy down the next 7 lines or sentences. Then I tag 7 authors to do the same thing, which might be difficult because some of my author friends are writing shorter works, but I'll give it a shot. I know, a phone call. Big deal, right? Except, it became a big deal when I lived in a foreign country and hardly spoke the language, and no one else was around to answer the phone. For just a moment, I considered not answering. Then I imagined staying at a bustling hotel where the waiter would bring me a mixed drink, maybe a pina colada or a mai tai, and on the way to serve me, he’d stop to answer that ringing phone. But he didn’t, and I couldn’t let it go, so I lunged for it. I'm trying to notice unusual things around me. When I rode my bike to Target last weekend, I saw something I never would have noticed if I'd driven. The road crews use machines to paint lines along the road. And here, apparently, some leaves got stuck on the roller, leaving their outline in the road stripe. You can also see a faint outline of them to the right of the line too. I felt like I'd found a modern-day fossil. I don't why we don't use leaf patterns in our road lines anyway. 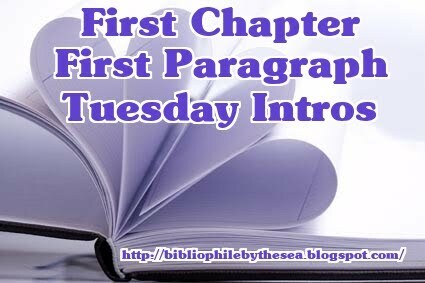 It's been a while since I concentrated on writing a new book. I've worked on revising and sporadically contacting agents to sell my current book, but my writing time has been squandered grading papers. And the subject of the book, something everyone loves, vacation. I'm going to need to interview people about their ideal vacations, not just the place but the moment to moment joys of vacation. Here's a photo from one of my favorite things to do on vacation. What about you? What do you love about your vacations? And, are you willing to let me interview you for my potential book? When Tucker started high school, just two years after his older brother Spencer, I worried. I had a little talk with Spencer about not dating Tucker's friends or ex-girlfriends. I didn't want it to be awkward with the older high school boy swooping down on the younger girls. Well, I didn't think to give the opposite warning, which is why we're now in an difficult girl complication at my house. Nearly a month ago, Tucker, who just turned 16, came home and said he was going to the prom with Jordan. Jordan's a senior, 18, and the ex-girlfriend of one of Spencer's best friends. Awkward. At first, I thought, "No big deal. It's just prom." Then I started getting the texts, "Be home in a minute. Had to walk Jordan home." Or in response to my "Where are you text?" he might respond, "At the park with Jordan." Tucker getting fitted for his tux. Not that long ago, Spencer was reminiscing about his friendship with Jordan and how strange it felt to hardly know her now. She was one of those girls who started dating older boys in high school and she grew away from Spencer and his friends. When he found out that Tucker was going to the prom with Jordan, he said he didn't blame Tucker for going to prom with her because she's "a hot senior girl." Then he added, "I don't want Tucker bringing her here to hang out. That would be weird." Tucker always brings his girlfriends to hang out at our house. We've got a TV and Xbox in the basement. They sit on bean bag chairs or the futon. Earl and I put in lots of loads of laundry trying to keep an eye on them. I agreed to Spencer's conditions because I didn't want to make him uncomfortable. Then Spencer and Earl left for a week on Spring Break. Tucker stayed home because of track practice, and he asked if he could have Jordan over. Since Spencer was gone, I said yes. And most nights, Tucker and Jordan hung out at our house for awhile. When she came in, she'd talk about track practice or prom plans. One night she sat with me a few minutes watching Long Island Medium while Tucker cleaned up in the basement, throwing away chip bags and empty Gatorade bottles. At first it just felt uncomfortable to have Tucker dating this older girl, but now I hear them laughing together and I feel like Tucker has been good for her. She has seemed really sad and searching whenever I saw her the past couple of years. She seems more comfortable in her own skin. So maybe dating Tucker helps her feel more confident. But I still have the Spencer issue and he did have to return from vacation eventually. "Mom, can I have Jordan over?" Tucker asked. "Oooh. Spencer is going to be home by 9:30 so you'd have to walk Jordan home at 9," I said, feeling like I'm in a Cary Grant movie where someone leaves by the back door as someone else is coming in the front door. "How about 9:15?" Tucker asked. Then he stopped. "Never mind. 9 is good. I can't believe I said 9:15. That would just be so weird." So far, I've managed for Spencer to avoid running into Jordan at our house. But if the relationship continues, I don't know how I'll continue the juggling. And next week at prom, they're all bound to run into each other. Yesterday, Spencer and two friends were in the kitchen eating pizza when Tucker and I left to order his tux. Spencer and Claudia going to prom last year. Spencer's friend Dillon asked, "Who you going to prom with Tucker?" Of course, Hayden, Spencer's friend who used to date Jordan, was right there in the kitchen too. "Jordan," Tucker said. And Dillon swallowed the pink lemonade in a gulp. "Yeah, he outdid me this year," Spencer said as we walked out the door. I'm just not cut out for this life sneaking around and trying to keep different factions separated. I thought boys would be less complicated than girls, but maybe it's the other people's daughters who make it so complicated for me. 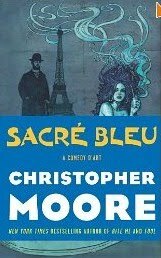 Christopher Bleu's new book is Sacre Bleu, which is blurbed on the cover as "A delectable confection of intrigue, passion, and art history -- with cancan girls, baguettes, and fine French cognac thrown in for good measure..." I've read the first part and it deals with Van Gogh and the color blue, of course. Thus, the name Sacre Bleu. On the day he was to be murdered, Vincent Van Gogh encountered a Gypsy on the cobbles outside the inn where he'd just eaten lunch. "Big hat," said the Gypsy. Vincent paused and slung the easel from his shoulder. He tipped his yellow straw hat back. 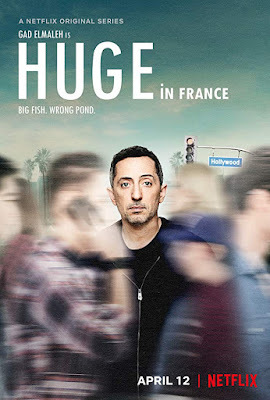 It was, indeed, big. I usually pick a teaser from a part of the book that I haven't read, but last night I read this and it made me laugh, so I thought I'd include it. Minette was petite, and pretty, and could throw a rock as well as any boy. She inspired a love in Lucien so profound that it made him nearly breathless with the need to pull her hair and profess her passionate cooties to the world. Lucien was relatively sure that he would one day have to take her as his wife, if only she could be taught to be as spiteful as his mother, so she could properly ruin his life. I know that letter writing is passe. 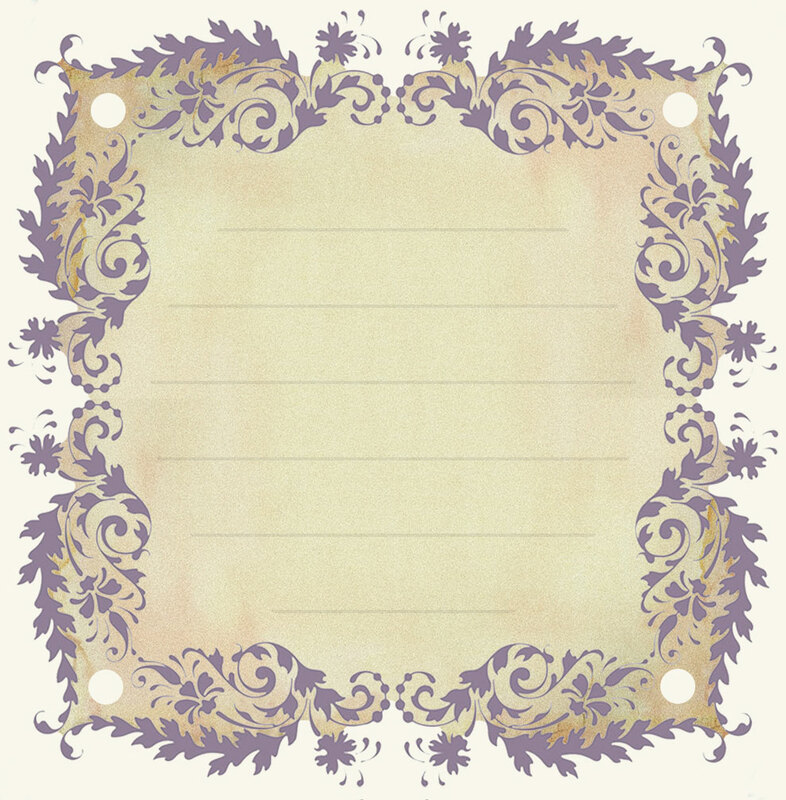 I'm guilty of hopping on the computer and shooting off an email or sending a lengthy text rather than sitting down with thick stationary and writing in my barely readable, left-handed penmanship. But the importance of letter writing returned to me this week with a letter from Grace at college. It was on notebook paper with a pencil drawing of two kitties at the top, drawn by Grace. The words on the paper were the important part though. Grace mailed a letter because her aunt sent her a birthday check (back in January) and Grace needed to mail it to me so I could deposit it in her bank account. She said she didn't want to simply mail the check "and be all taking you for granted" so she wrote a letter. "First off, I wanted to thank you for being so awesome," she wrote. Well, she could have stopped there, but she continued to name some times when she thought I was "awesome." "Even though we talk pretty much every day, I still miss our walks and talks and mochas. 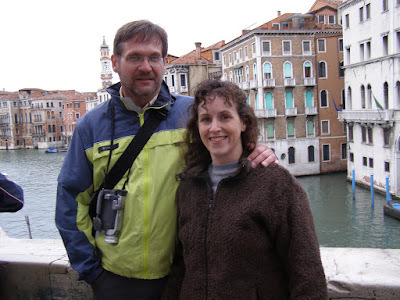 I miss you and watching The Amazing Race together." Me too. I cherish the times when Grace is home. And, although Grace and I talk about this, having it here in front of me means a lot. 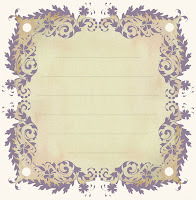 After some reminiscing, Grace writes, "I think when I come home, you'll find me different, but in a good way." Grace was pretty amazing when she left for school, but perhaps the way she has changed is in recognizing how amazing she is. She ends her letter with "We're so lucky we have each other. You're my mom and best friend. Good combo? I think so." Yes, this is a letter that I'll tuck into my letter box, along with the ones from my mom when I lived in France and the ones from my brother when I went away to college. Those letters helped cement our adult relationships. I can look back at them now and remember the hard times and the good times we shared. I can see how those letters built the relationships we have today. As promised in my previous post, here's a copy of the best carrot cake recipe. In general, I don't like fruity desserts, but this carrot cake wows me. I got it from a former friend. The friendship didn't last, but I still respect the carrot cake. I thought it was appropriate for Easter dinner, but it just made me miss Grace more because she usually makes it with me. Combine the dried and the creamed ingredients. It looks kind of gross when I pour it into the 9-inch by 13-inch pan then bake it for 50 minutes at 350 degrees. But afterwards all of the fruits and vegetables become one delicious baked good. Yum. I'm going to make a cup of decaf cappucino and enjoy this cake. A photo from one of Earl's hiking expeditions. 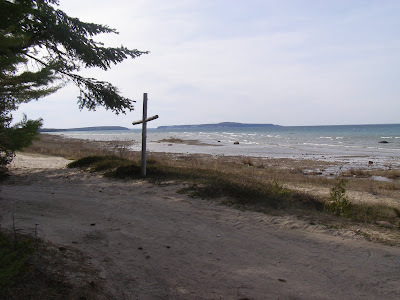 This one was along the Michigan Upper Peninsula, or the UP, as it is called. It seemed appropriate for today. Happy Easter if you celebrate, or enjoy the spring if you're in the northern hemisphere. Later today, I plan to post the best carrot cake recipe ever. It has enough fruits and vegetables in it to meet your daily requirements in one piece. When our local Caribou Coffee closed, we were sad to miss the delicious coffee and the great space. But we decided to use it as a chance to try some local coffee shops. At this one, they do a fancy picture in the foam at the top of the cappuccino. I'm not sure what kind of skills this would take. I sometimes make my own cappuccino and I'm lucky to get a nice head of foam on it. I know the barrista at this coffee shop has entered contests for this. I wonder what the contests are called. Coffee foam designs? All it takes to realize how much someone does for you, is to have them leave for awhile. Lucky for me, it was only a temporary absence as my husband and oldest son gallivant around the state of Florida, leaving me and the 16-year-old home alone. I can tell you that the 16-year-old has not picked up the slack. Even now, I'm waiting to hear the dryer start because I asked him to put the sheets in the dryer and turn it on. The dryer is empty; the sheets are washed. It's a fairly simple act if he can hoist his teenage body off the futon and away from the video games. My husband mowed the lawn before he left last week, so I haven't had to tackle that. I have had to take out the trash and scoop the kitty pan everyday -- something he usually takes care. I needed to remember to set the trash cans and the recycling bins out by the curb the night before our trash pick up. I've had to do the laundry, which he usually handles. My husband works evenings, so when I'm gone to work during the day, he takes care of the yard and household things. Then I get home and collapse. I'm so wimpy. I have had to wash by hand all the dishes that Tucker and I have used. Our dishwasher has been broken since September, and it was never a good dishwasher any way, so instead of getting it fixed, we plan to buy a new one. But it's stainless steel so we need to replace it with a stainless steel one and those are more expensive, plus college payments keep getting in the way. So the dishwasher stands empty while I keep filling the sink with sudsy water, washing the dishes and setting them out to dry on the countertop. Lots of times when I'm at work, Earl takes care of that too. Some simple things that he takes care of have gone undone. One day, we didn't bring the newspaper in at all. It just laid there on the front porch. Earl's also the one who gets the mail, usually the next day since it comes after he leaves for work and I never think of getting it, so I've had to remember that. Luckily, nothing has broken while he has been gone, because Earl fixes everything in the house. I can do without him for a week or so, but the whole place would probably fall apart if he left for much longer. When my kids were little, they'd always ask what my favorite color was. I have a hard time with favorites. I have colors that look good on me and colors that I enjoy looking at. As an adult, I rarely have a favorite. But this morning as I walked through the neighborhoods, I realized that I have a favorite color tulip. Funny that the very first color I think of with tulips is red. I think that's a traditional color. I don't see that many of them any more though. Pink is another popular tulip color. This one is cool because it has a fringey thing along the top. Yellow tulips are also fairly traditional. These are too pale for me. These dark purple tulips are pretty gorgeous too, although the color is a little washed out in this picture. But my favorite color tulip are these mixes of peach and pink or yellow. I think I'll call it champagne peach. What is your favorite color of tulip?